It can easily be said that students without a solid understanding of history simultaneously lack understanding of the world around them. There’s a reason why our society is the way that it is, and much of it can be explained through historical chronology. As an aspiring history teacher, it will one day be your job to convey the details of historical events, and their resulting significance, to several generations of students. By giving them thorough glimpses into our history, you in turn give them the power to understand what exactly has molded their world and how to create further impact for the generations after them. The state of Illinois understands the importance of this particular field. That’s why prospective Illinoisan history teachers are required to take the ILTS Social Science: History exam. By earning a passing score on this exam, you’ll prove you’ve learned all the necessary concepts and skills to teach professionally, and can officially receive your certification and start your career. 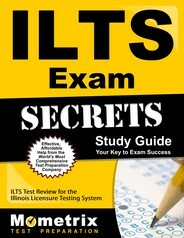 The ILTS Social Science: History test features a three hour and 45 minute time allotment, within which you will have to complete 125 questions. 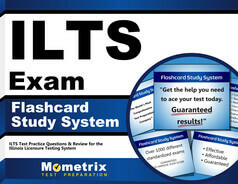 The Mometrix Test Preparation team wants to see you succeed. That’s why we’ve published our ILTS Social Science: History practice test. Designed with accuracy in mind, this practice test is meant to serve as a close mirror to what you might find on the real exam. As such, you can use our practice test to get to know how the exam works, as well as figure out where your weaknesses and strengths lie with the exam’s material. We hope this practice test will become an effective part of your study plan. It is 100 percent free for you to use whenever you need it. Good luck!